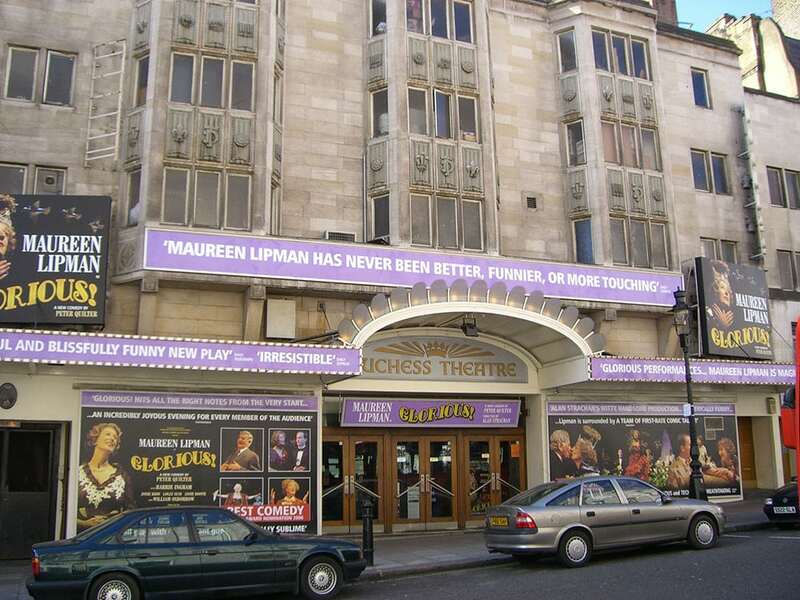 The Duchess theatre opened on 25 November 1929 with a production of Tunnel Trench by Hubert Griffith. To fit the size of the site (one of the smallest ‘proscenium arched’ West End theatres), the stalls were built below street level. 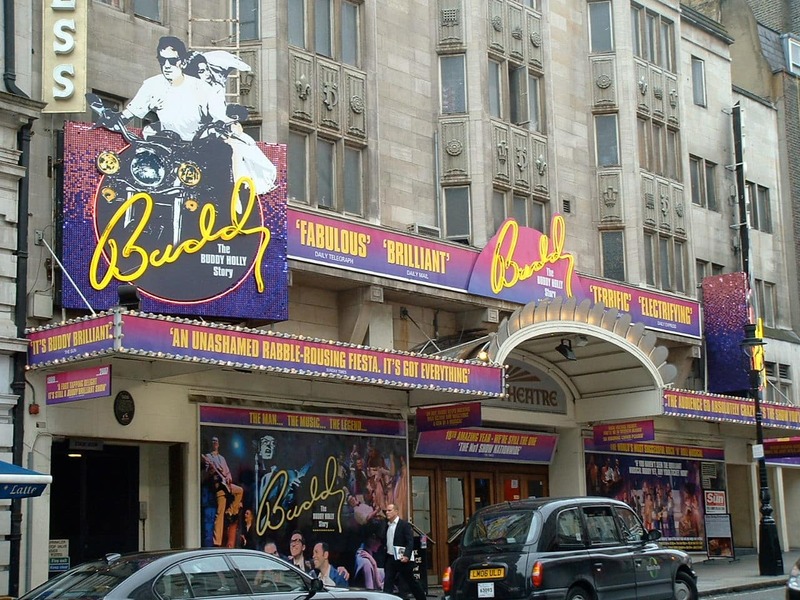 Its next production, The Intimate Revue has the dubious honor of the shortest run in West End history after the show closed without completing its first performance. In 1934, J B Preistley joined the management of the theatre, and oversaw the production of his plays Eden End, Cornelius, and Time and the Conways. One of the theatre’s most famous productions was Noel Coward’s Blithe Spirit, which transferred from the Piccadilly Theatre in 1942. 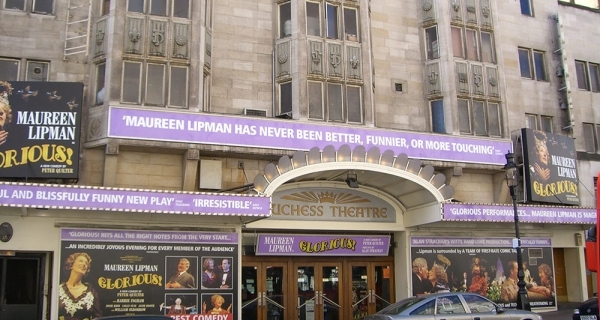 It completed a run of 1,997 performances. The theatre would see further large transfers in between newer work for many years. After the success of Pinter’s The Caretaker (1960) and Bill Naughton’s Alfie (1963), the theatre received the transfer of popular comedy Boeing Boeing in 1965 (where it remained for two years), and Oh Calcutta!, a transfer from the Royalty that remained in residence from 1974-80. The 1990’s continued the theme of successful transfers, with the arrival of Run for Your Wife (completing the final year of its nine-year run), and the National Theatre’s Copenhagen (1999) and Blue/Orange (2001). 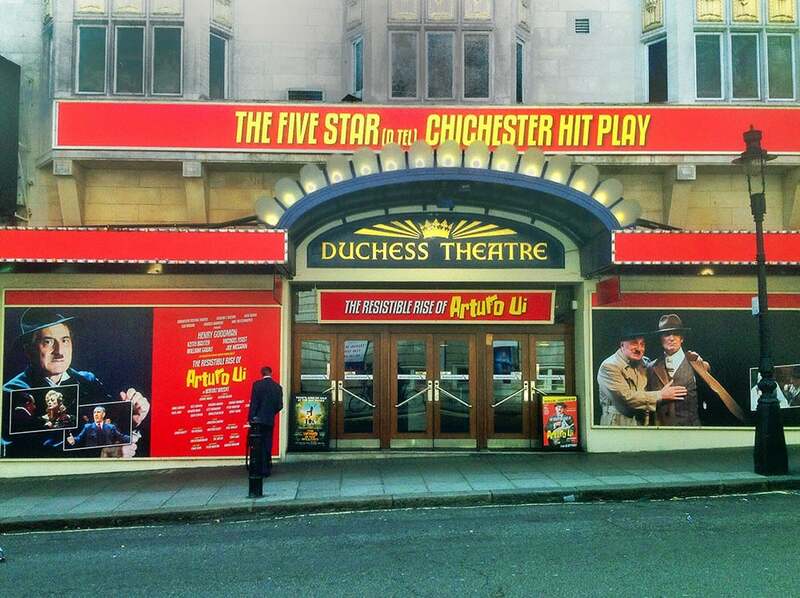 The theatre still plays host to many great revivals and premieres, as well as being the home for play transfers (the most recent being the Chichester Festival Theatre’s production of The Resistible Rise of Arturo Ui). NCP Drury Lane, Chinatown (Q Park Scheme), Single yellow lines in Russell Street. ATT Stair Climber available. Advance notice required. There is an infrared system working throughout most of the auditorium (Not Available first three rows and boxes) with both loop and conventional headsets (10 headsets available). Access dogs are allowed inside the auditorium if seating in an aisle seat or box. Staff can also dog-sit for two dogs maximum.